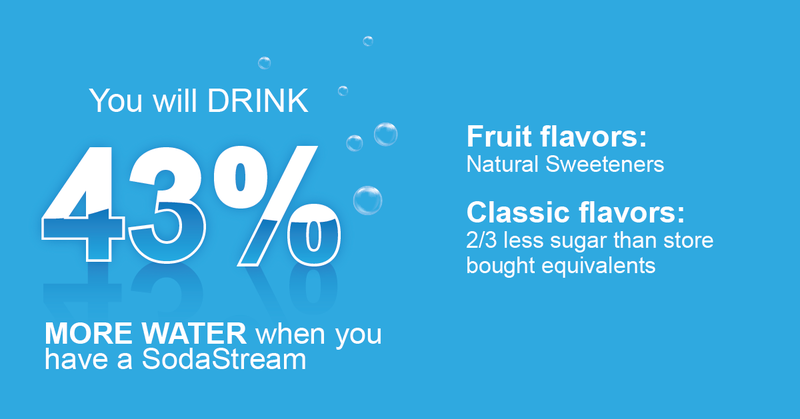 SodaStream with the power of a C02 carbonator allows you to turn tap water into sparkling water in an instant. 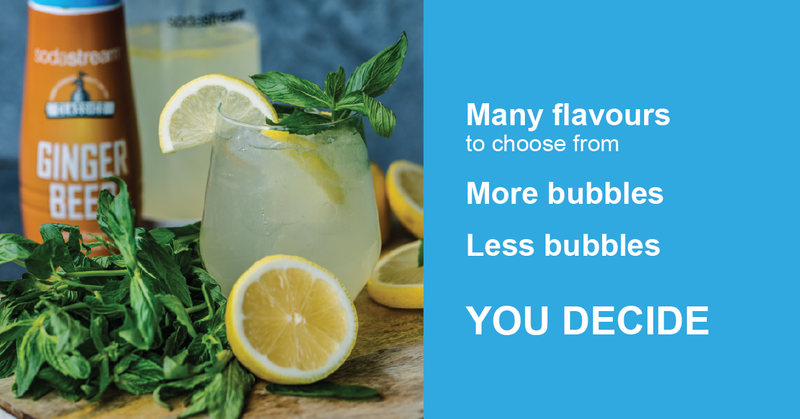 With SodaStream, you have the flexibility to create your own delicious, sparkling drinks by simply adjusting the fizziness and flavour level to your personal taste. Try one of our Sparkling Drink Mixes, or create your own unique flavour. 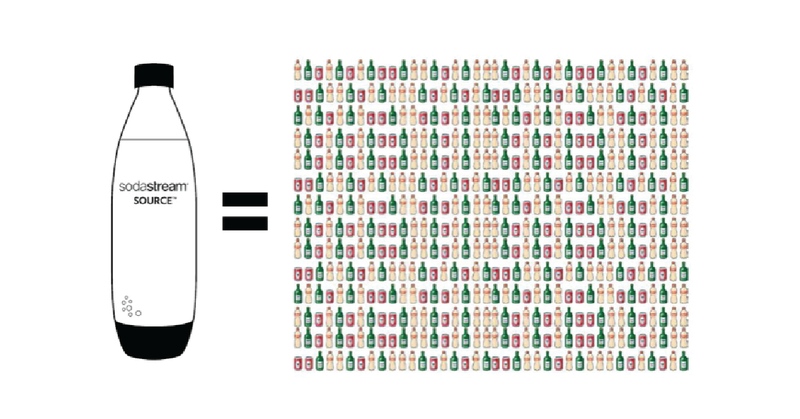 1 Sodastream bottle is tested to replace 5070 BOTTLES AND CANS of an average family uses in 3 years. 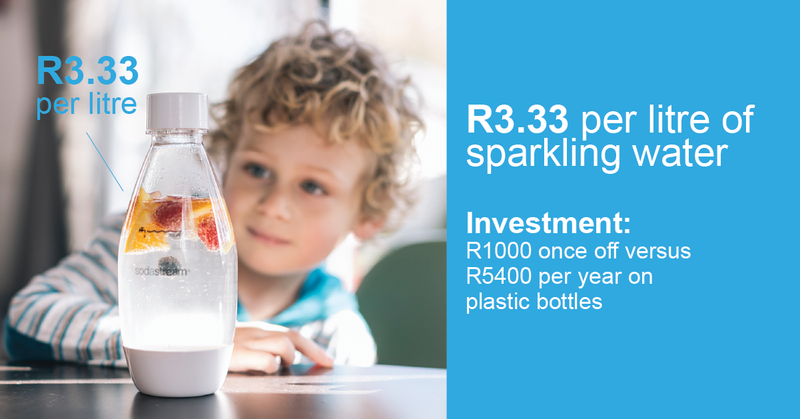 R3,33 PER LITRE of sparkling water saves you money in the long run. 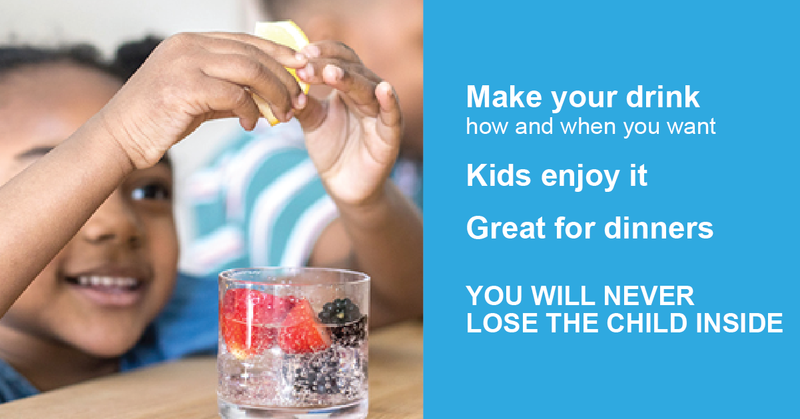 Fresh sparking water or flavoured sparkling water. YOU DECIDE. Make drinks your way. You will NEVER LOSE THE CHILD INSIDE. 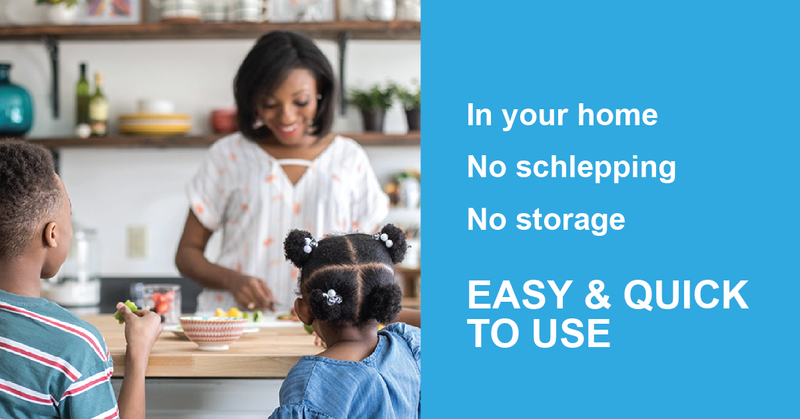 No more schlepping, SODASTREAM MAKES LIFE EASIER.